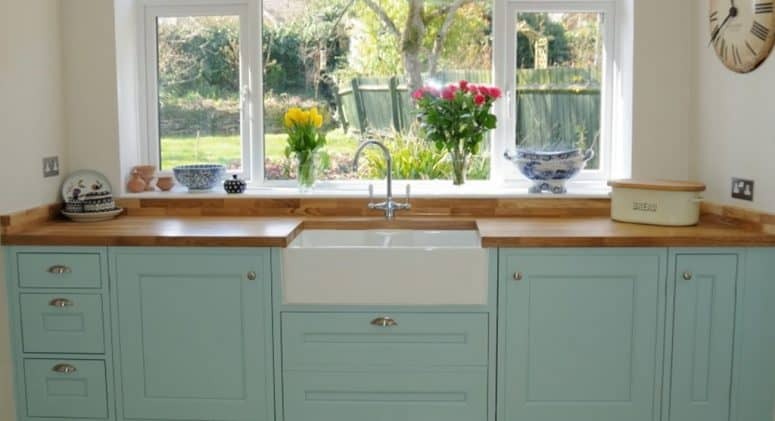 The brief from our client was to create a more spacious and open kitchen in their 5 bedroom detached 1930’s property. Work began with the removal of the utility room walls (and the fitting of steel beams) to open up the space. We then removed the entire floor, and rebuilt it with new joists before installing underfloor heating and laying travertine tiles. We made the kitchen and spray painted it in our workshop. 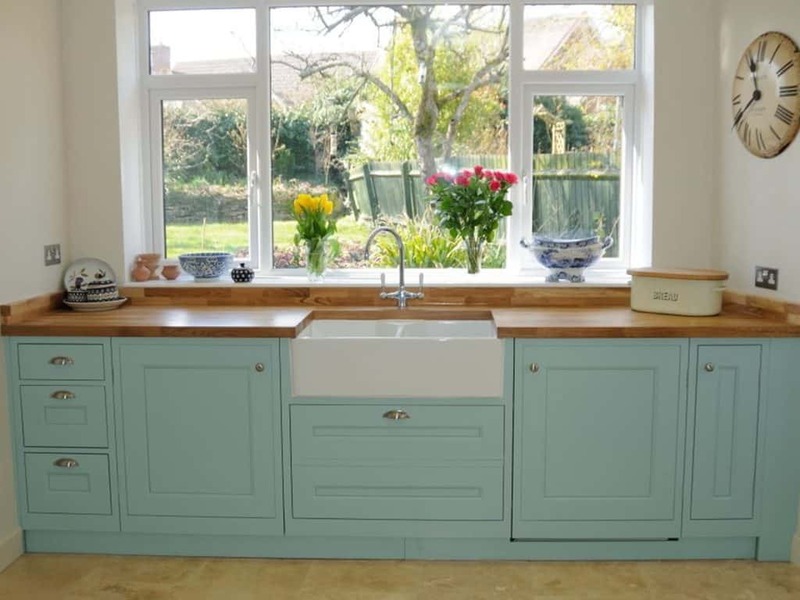 The kitchen and appliances were installed and we added beautiful oak worktops and upstands. New ceiling lights, under-cupboard lights and the creation of a small pantry completed this enjoyable project.